This story appears in the September/October 2016 issue of The Penn Stater, the official publication of the Penn State Alumni Association. Not a member? Click here to join. Hannifan knew he wanted to get into broadcasting, so he joined ComRadio at Penn State, where he covered a variety of college and high school sports and hosted radio shows for four years—even while attending Penn State Altoona as a freshman and sophomore. 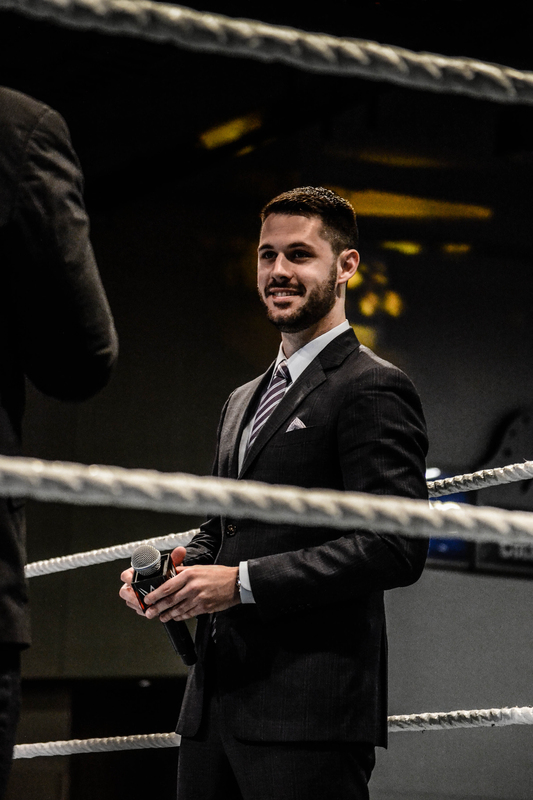 After graduating, he made ends meet by calling basketball games for Division III Juniata College and bussing tables, until 2012, when he auditioned as an announcer for WWE. Entry filed under: Athletics, From the Magazine. Tags: Professional Wrestling, Tom Hannifan, WWE.